I am going to start right off the bat and say I am NOT a trend setter. Nope, I still own half my wardrobe from high school and could not tell you the latest fall must haves. But, I do know an innovative, mommy friendly, and most importantly FRUGAL fashion statement when I see one! Last month in a mom's group that I am apart of some of the ladies were getting together to have a mom's night in and decided to have a little nail party. 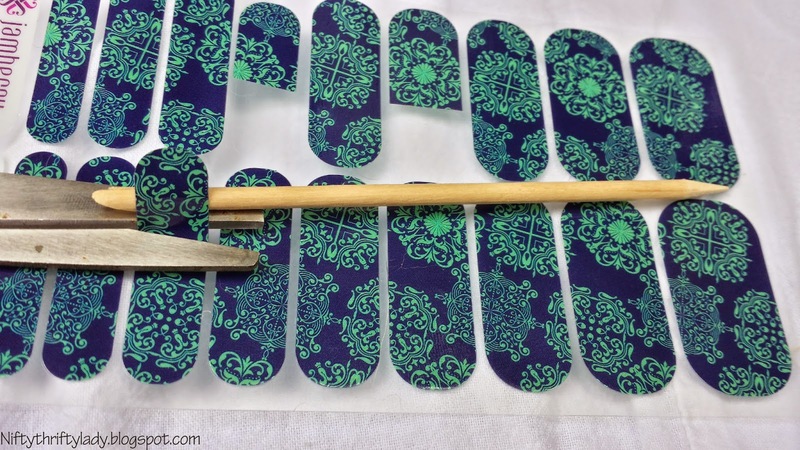 I unfortunately was unable to attend due to a prior engagement but the host of the party contacted me to see if I would like to try a set of the nail wraps! WHOA. HOLD YOUR HORSES. Nail WHAT? I thought the ladies were painting their nails, with you know... nail polish and such. Boy was I wrong! So out of sheer curiosity I said sure! Let me try them. When I received the set of wraps in the mail I again was shocked. They were my favorite colors (for real) and not at all what I thought they would be. Man I hope I didn't mess this up! Talking to Brooke, who is the independent consultant, she explained that each set comes with 18 wraps and can cover two pedicures AND two manicures! The price point for these wraps are right on for me personally. Manicures and Pedicures are not in my normal budget because they are very pricey. I also don't paint my own nails often even though I do like to have them done. 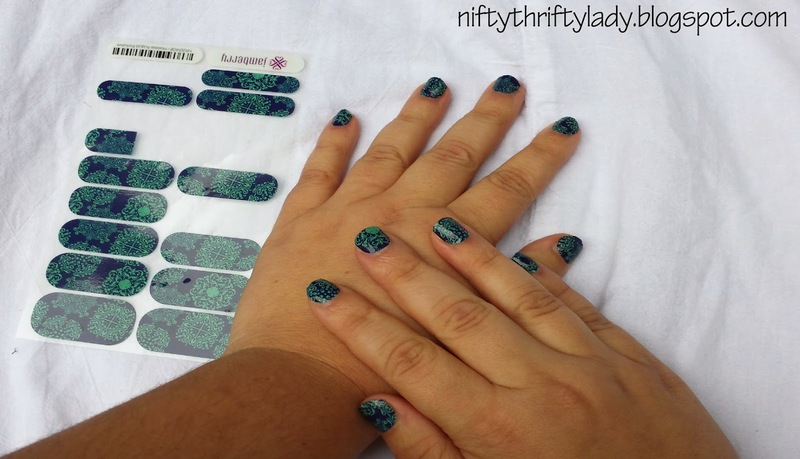 So Jamberry is this awesome middle ground for me! I will say the $15.00 does not include shipping or tax but you are still saving over $40.00! I have two left hands. 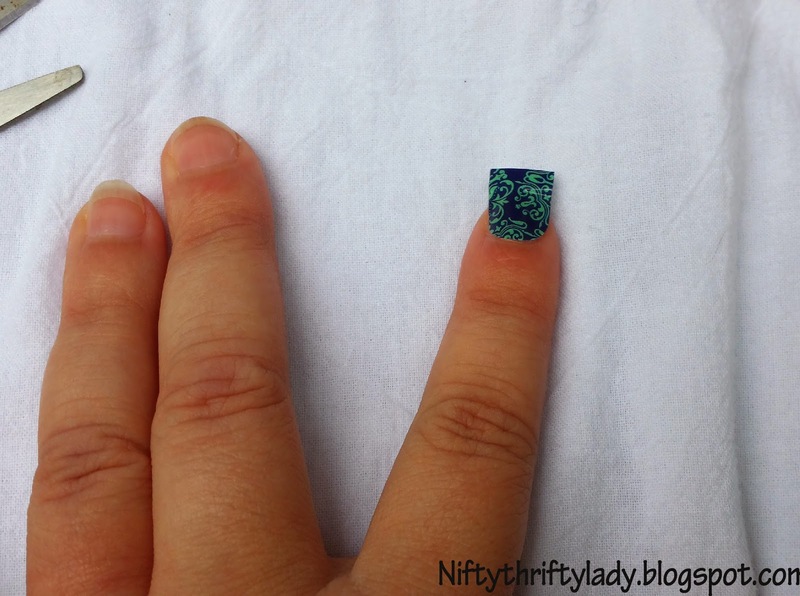 I am not afraid to admit it, to paint my nails I normally use more nail polish remover than actual nail polish! Let's not talk about being a MOM and trying to paint your nails. It never fails the night I decide to do it someone wakes up or get's sick. Then you have wet nails to re-do! 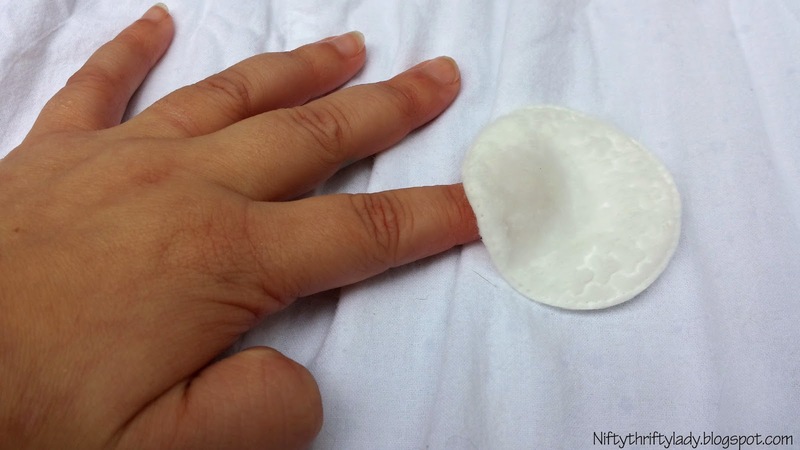 The wraps are 100% foolproof and MOMMYPROOF! Here is a little tutorial on how to apply them. Repeat for each finger and then your finished! 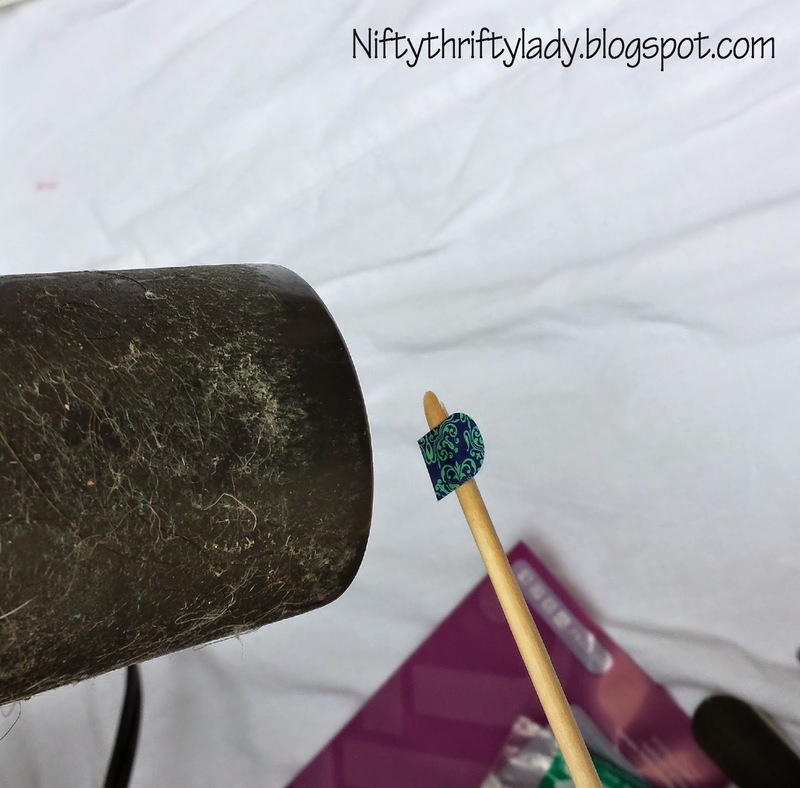 I will be honest it does take a little longer to apply the wraps than to paint your nails IF, and this is a big IF you do not make any mistakes while painting and don't wait for them to dry and re-apply a second coat! The time trade-off is fine for me because they last longer than nail polish! I am on my 7th day and have not had any fall off and only very minor scuffs on the tips. At the 7 day mark my nail polish would be almost gone! 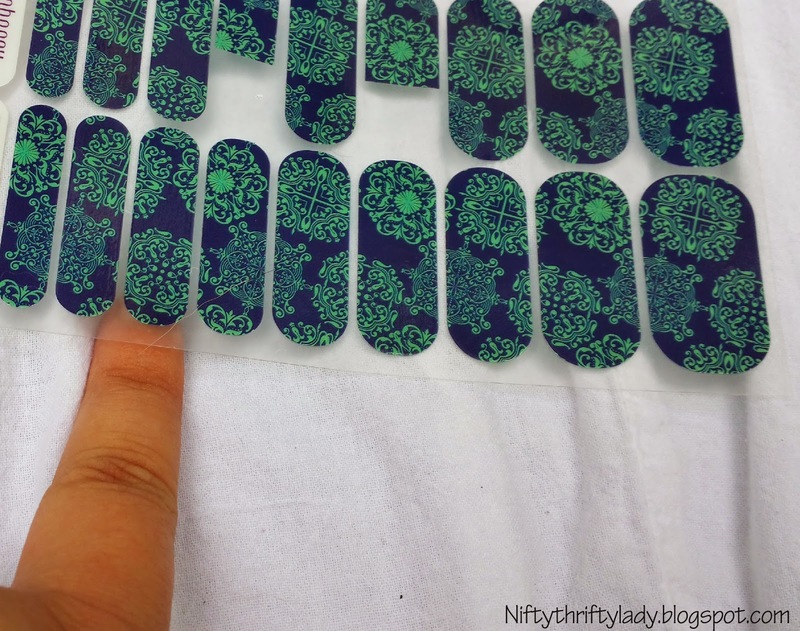 Jamberry wraps are nontoxic and not made with animal products or tested on animals. They even have a line of nail lacquer that is free from DBP, Toluene, Formaldehyde, Formaldehyde resin, and camphor. There are over 250 designs including custom wraps and your favorite sports team! 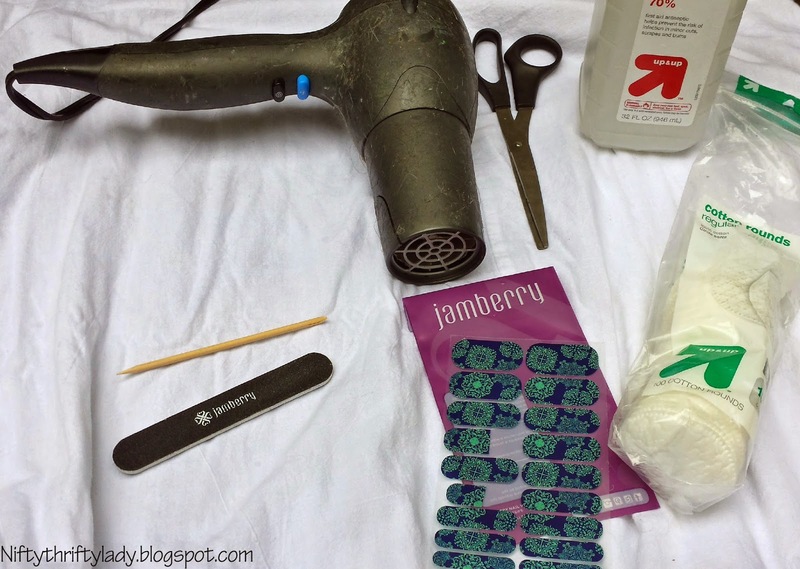 Jamberry has a special line just for girls! Jamberry Juniors, each sheet of wraps can cover 6 applications and they offer matching sets so mom's and daughters can have matching nails! Monthly subscriptions. 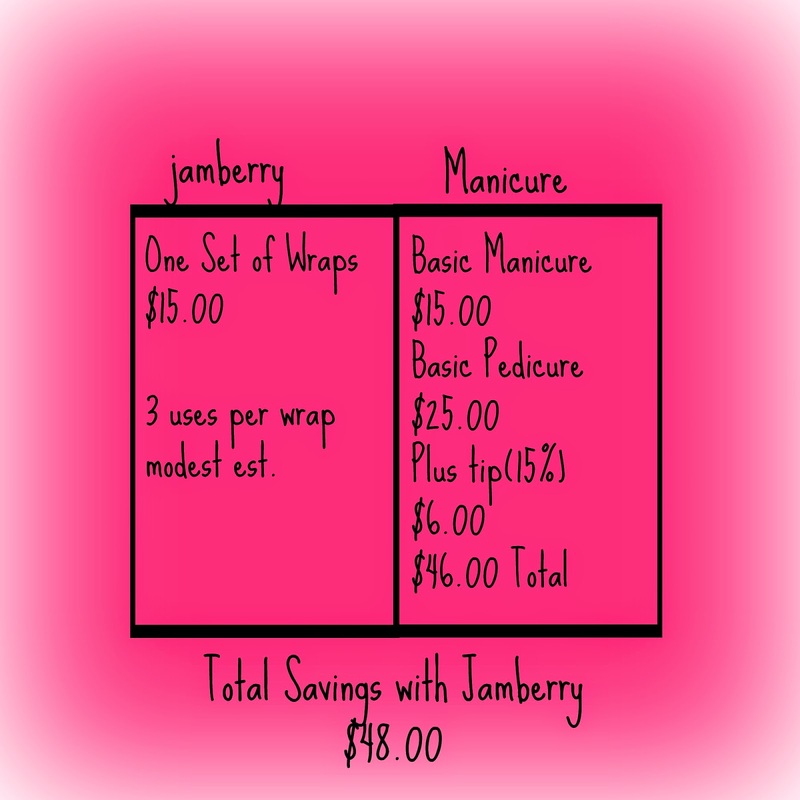 Get a box of Jamberry products sent to your door each month! Okay, maybe I will. The cost is $25.00 a month receiving products of $30.00 or more. 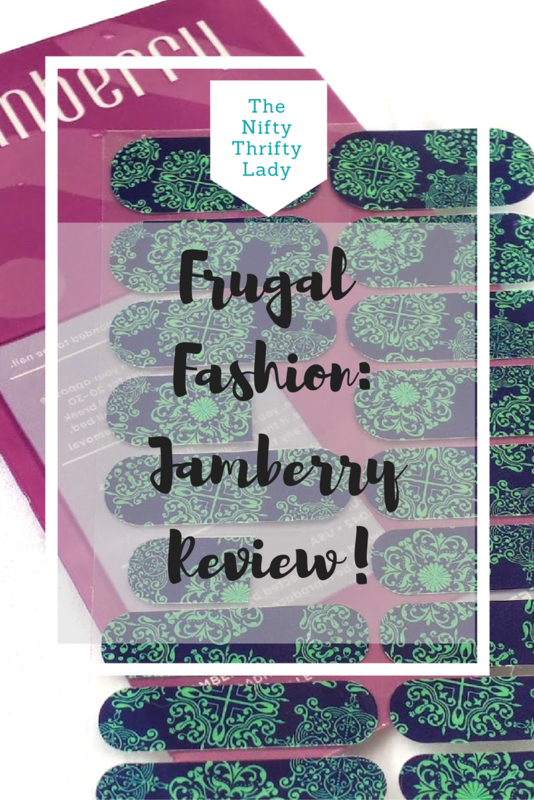 Jamberry is a direct sales model so if you love the product there is a great opportunity for you to join the company and enjoy the flexibility in schedule while earning income. Guys, I love these wraps and am so excited to share them with you! If you would like to try Jamberry, have a mom's night in, or hey maybe earn some extra income for Christmas gifts talk to the awesome lady named BROOKE! Better yet head over to her Facebook page like it and talk her directly! 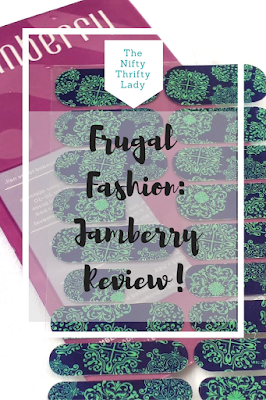 I hope you have like my frugal fashion post and try some nail wraps soon! 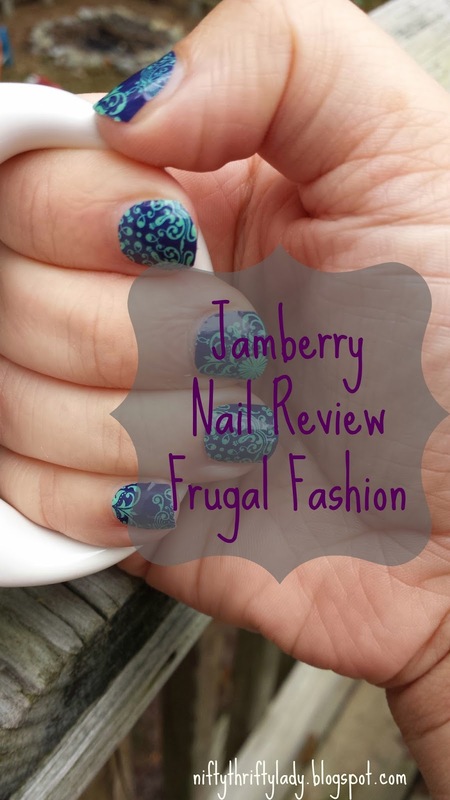 I <3 Jamberry Nails! Thanks for this amazing review! 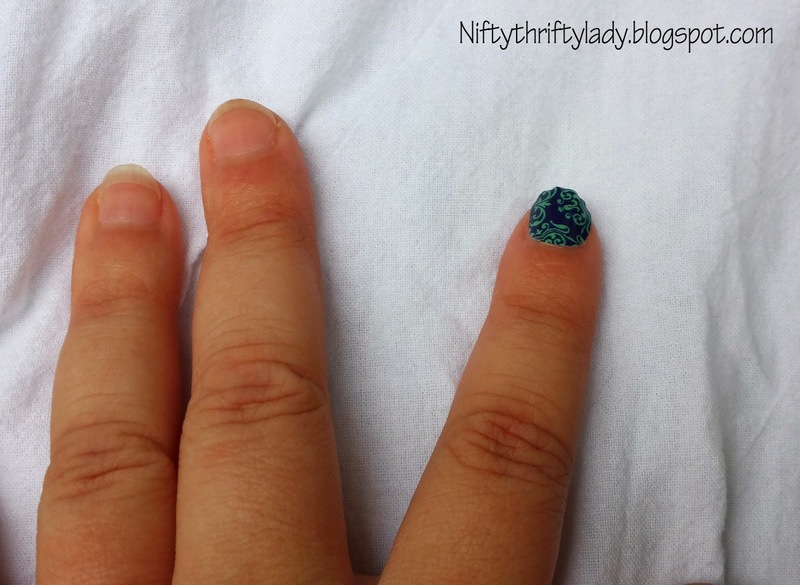 Hi Christen, You are welcome for the review, it was very fun and I am sold on these nails! Thanks for stopping by! !